The Endless light included all the worlds and possibilities of Creations. The Tzimtzum צמצום revealed the worlds so they could act using their own abilities. After the Tzimtzum and the disappearance of the light, the sphere was left with what is called “רשימו”, “Reshimu”. The literal meaning is “impression”. It can be explained as what is left over after emptying a barrel of wine or oil. The walls of the vessel had the same attributes of the original substance that was there before. Another aspect of Reshimu is like the effect left over after having a good taste of something, for example chocolate. Even after the mouth is clear of any left over chocolate, we still have the ‘memory’ of it. Similar ‘memory’ can be experienced with non material events, like an exciting sports game, people etc. Another meaning of the term “Reshimu” is ‘diagram’, ‘written plan’,”recipe”. The Reshimu allowed the worlds to be revealed inside the sphere. It had all the details of the Creator’s plan for the created worlds and its occupants. All were in a state of pure force, energy, power. The Hebrew word for this is “כח”, pronouned ‘Koach’ (Numerically 28). Everything was included within the Endless light. Notes: The light of the Endless, “אור אין סוף”, revealed the Creator’s plan for our spiritual system and physical system. The Endless “אין סוף” is the essence of the Creator that we have no knowledge of and will never be able to know anything about him. We may understand a specific architecture to the little details but we can not know or understand the capabilities of the architect. 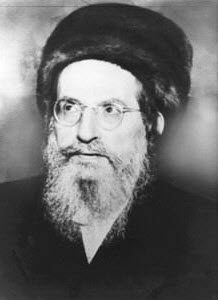 The Reshimu included all that would be created and it has the aspect of what the Kabbalists call “סוף מעשה במחשבה תחילה” “The end result of an action starts with a thought”. We should engrave this rule in our mind. There is NOTHING in the worlds below that doesn’t have a spiritual origin and cause. The force, כח that drives everything below has roots in the spiritual system. When we are conscious to it, we know that our thoughts precede our actions. Our unconscious actions have a thought and a cause that is beyond our understanding when using simple logic of the material world. Everything that is ‘measurable’ is inside the sphere, spiritual and physical. If it has a name or definition, then it is inside the sphere. All the spiritual worlds from Adam Kadmon down to the world of Action, where the middle point marks the center of the Sphere, are inside the sphere. Surrounding it is the endless light that comes from the Endless. The YHVH name that brings the life force to the Sphere is completely inside the sphere except for the tip of the tip of the top of the Yod of the name. We will learn and discuss this issue in future lessons. Rule: Every light that disappears from the vessel leaves a “Reshimu”. The Zohar is one aspect of the “Reshimu” of Rabbi Shimon and that means that we can connect to the light that Rabbi Shimon revealed in the world.